Does your athlete get tired at games? Are you looking for ways to help them feel prepared and ready to play? If so, you’re not alone. Did you know that by doing a few key things in advance of game arrival, your athlete may feel better during the game? Dr. Karen Everson, Spirit League mom and Board-certified Orthopedic surgeon, offers the following valuable advice on how to prepare for game time, avoid injuries, and feel better. Improved hydration increases energy levels, diminishes muscle fatigue, and reduces injury risk. It also aids in mental clarity. Water is usually the best choice for hydrating. Electrolyte drinks can be considered for intense exercise of over one-hour duration or in extremely warm temperatures, to replace fluids and electrolytes lost through sweat. Our athletes should “pre-hydrate” even prior to participating in athletic activities. Recommended volumes depend on age and body size, however a good ballpark is to drink approximately 8 ounces of water 1-2 hours prior, and again about 10-15 minutes prior to exercise. Then, athletes should continue to drink every 15-20 minutes during athletic activities (at least 4-6 big gulps each time). Hydration should continue after exercise to continue to replenish fluids lost through sweat (see American College of Sports Medicine guidelines for more specific details). Tip #2: Get primed! Warm up and stretch. Light to moderate aerobic activity (“warm ups”) prior to sporting activities increases blood flow to muscles, prepares the heart for increased activity, and primes the nerve to muscle pathways so that muscles are engaged and ready for exercise. Besides warming up, athletes should also include at least 5-10 minutes of stretching in a pre-exercise routine. Stretching helps the joints move through a full range of motion and reduces injury risk. It enables muscles to work more effectively—thus optimizing speed, power, and strength. Arrive on time (or early) on game day, so that your athlete can reap the benefits of warm ups and stretching! A meal prior to a sporting activity should be eaten at least 3 hours prior, and ideally should contain plenty of carbohydrates and protein. It is best to keep this meal low in fats, as fats take longer to digest and can cause an upset stomach. Following a sports activity, athletes need to ingest foods that will help to rebuild energy stores. Foods containing proteins and carbohydrates eaten within 30 minutes following exercise, and again 1-2 hours afterwards aid in re-building energy stores and muscle. By establishing a few simple exercise-day routines, we pave the way for our athletes to perform their best, maintain good health, and continue to find enjoyment in exercise. 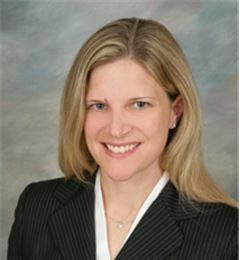 Dr. Karen Evensen is a Board-certified Orthopedic surgeon and proud mother of a Spirit League athlete.